Do you need to own your own home to invest in property? This is an interesting question as the real answer is what do you want and why? The simple answer is no, you do not need to own your own home to be able to invest in property as it comes down to your borrowing capacity and ability to obtain finance. We are all going to be “challenged” with our borrowing capacity in two main areas – our serviceability and access to deposit and costs. Your serviceability is your ability to service the investment loan based on your income and ability to cover your life style and other commitments – children/mortgages etc. Please note, the banks are constantly adjusting their calculators and turn this up and down as to what they will lend you. Your deposit will need to cover deposit and costs and anything less than a 20% deposit will attract Lender Mortgage Insurance (LMI). 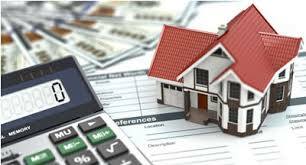 Your deposit will need to come from cash savings or available equity in a property. The banks will want to see genuine savings and a track record of this. Please note that in gaining access to equity, the lender will not let you access all of the available equity as the bank will want a security buffer and many lenders will endeavour to gain access to all of the available equity (please look to avoid this and protect your equity for your “next move”). Some in this industry are “sales focussed only” and would tell you that you should only invest first as this is deductable debt and the rent is income, then you can look to obtain your own home as this is non-deductable debt later and that this will then limit your future borrowing capacity. Whilst technically this is correct from a serviceability point of view, I feel that the real answer will come from your own personal situation (do you have a young family that needs a home, access to schools in the area you want to be in, need for a home vs. investment etc.). Purchasing an investment property will come down to your own specific situation and your current borrowing capacity at the time. Should you have the need and family demands that are requiring your own home then this should be seriously considered and reviewed, just as investing in property needs to be mapped out and cash flowed so as to protect your lifestyle and future property investments. Once you have your own home, insulating this and keeping it safe is very important, as is having the correct finance structure to enable you to build your property portfolio. Copyright © 2018 Michael Quinn . All Rights Reserved.